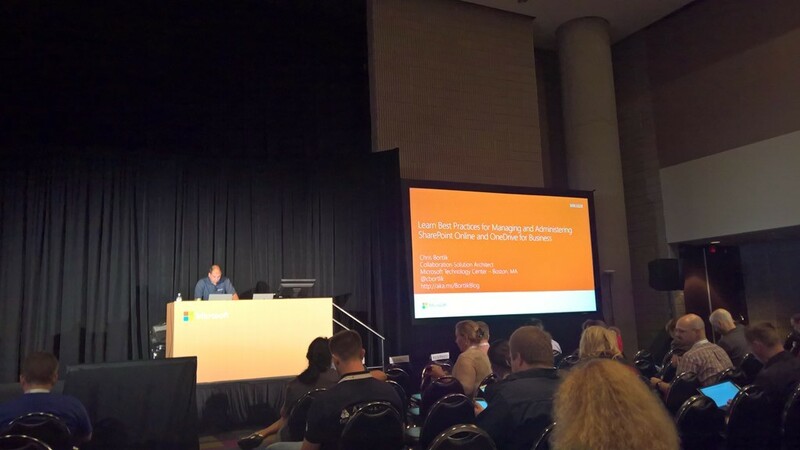 Site Collection Provisioning, Service Level Settings, hybrid, PowerShell will be discussed in this session. So in other words, global SharePoint settings are do not allow sharing with externals, but allow it on specific sites only if you need it. For anonymous sharing, Chris suggests to let the links expire, otherwise its hard to track whats still shared. There are new capabilities to restrict access to data sitting on the Microsoft platform, limit by network, domain join and more – some of them require Azure AD Premium. Need to fiddle with this, a client wanted to block specific clients from sync and access. Multitude of different options here, from stop sync to Azure RMS / IRM – different requirements require different solutions. As we heard yesterday, files in OneDrive can now be retained for up to 10 years, that does not require a license. Assign new permissions in the admin portal or forced sign-out (e.g. lost notebook or cell). 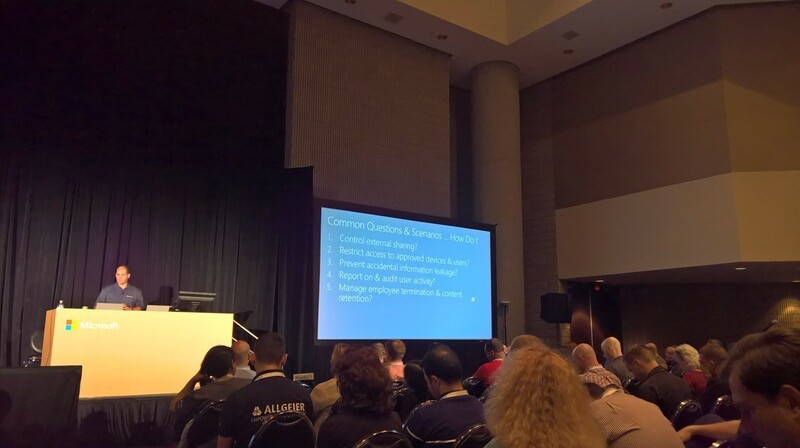 Audit events got a major update for SharePoint online and they can be queried with powershell. There are some usescases when this could be come handy for my clients (legal stuff & eDiscovery or people leaving the company). Lots of demos (could not catch everything here, go watch the recording! ), lots of insights and tips & tricks – I need to dive deeper afterwards. The shown powershell scripts are super handy, I totally liked the style of the session!